Staying hydrated isn’t limited to physical exercise. Drinking enough beneficial liquids during the day can improve energy levels, mood, and concentration – all of which are crucial for writers. So, don’t wait until you’re thirsty. (It’s a sign that you’re already dehydrated.) Have a cup of water, coffee, tea, or other beverage of choice ready when you sit down to write and use your breaks to get refills. Do you find it impossible to write when you’re hungry? (I do!) Not only does hunger lead to a distracting sensation in one’s stomach, but it also throws the brain “off-balance” by forcing the hypothalamus (which regulates a body’s homeostasis) to work overtime. As a result, the body’s focus shifts to finding food. Malnutrition, or the state of not getting enough food or enough of the right foods, can also affect memory, sleep patterns, mood – even motor skills such as writing manually or typing. Don’t let an empty stomach derail your ability to think or write. Instead, have a snack handy for when those familiar pangs pay a visit. Some healthy choices include fresh vegetables, dried fruit, cheese or peanut butter with crackers, or nuts and seeds. And when it comes to meals, take a break from writing to feed and refresh yourself, or set a deadline so you can wrap up your session at a reasonable time. Since every writer’s schedule differs, it’s important to fit in exercise when it works best for you. And whether you prefer cardio (aerobics, swimming), toning (yoga, pilates), or strength conditioning (weights, indoor rock climbing), there’s no shortage of activities to try. Also, have a journal or recording device ready for when your spontaneous pathway opens. If I’m outside walking, I take my cellphone with me for safety reasons – and for saving “text messages” when inspiration strikes. Some writers have no trouble sacrificing sleep for their craft’s sake. A few even advocate that insomnia boosts creativity. Not me. I’ve learned first-hand that sleep deprivation can hinder concentration, disrupt the ability to fight stress, and make you super-cranky. And when the cycle goes on for too long, it can force your body to shut down. If this happens to you, listen to your body. Ensure you get enough sleep by going to bed and getting up at times that work for you. You’ll feel refreshed as well as mentally and emotionally prepared for your next writing session. One of the perks of being a writer is using our craft as a form of stress relief. When something troubles you, journaling can often help you find a solution. Not only does journaling allow you to acknowledge your current emotions, fears, or worries, but the act of writing by hand can also put you in a meditative state by slowing your breathing, relaxing your muscles, and clarifying your thoughts. I’ve kept a journal off and on for years, and it’s been a savior for problem-solving and for calming my (sometimes) anxious mind. However, what about the times when a journal isn’t available? Try listening to new age music or guided meditations that can reduce stress and anxiety. Practice yoga, which promotes relaxation by combining stretching exercises with focused breathing. Other artsy hobbies such as knitting, painting, and adult coloring books can also help. As much as we love writing, we shouldn’t let our passion turn us into hermits. ;) Take some time to meet up with friends, attend events that appeal to your interests, or volunteer for meaningful charities and causes. It nurtures your current relationships and helps you build new ones. And on a wellness level, it can buoy your energy and self-confidence. Did you recently finish a draft? Or hit an important word count milestone? You should celebrate! A chocolate bar, a dinner at your favorite restaurant, a shopping trip, or a day at the beach – whatever brings you euphoria or peace, give yourself permission to indulge in it for the moment. Then, when you go back to writing, you’ll feel satisfied with your progress so far and even more motivated to reach for the next goal. 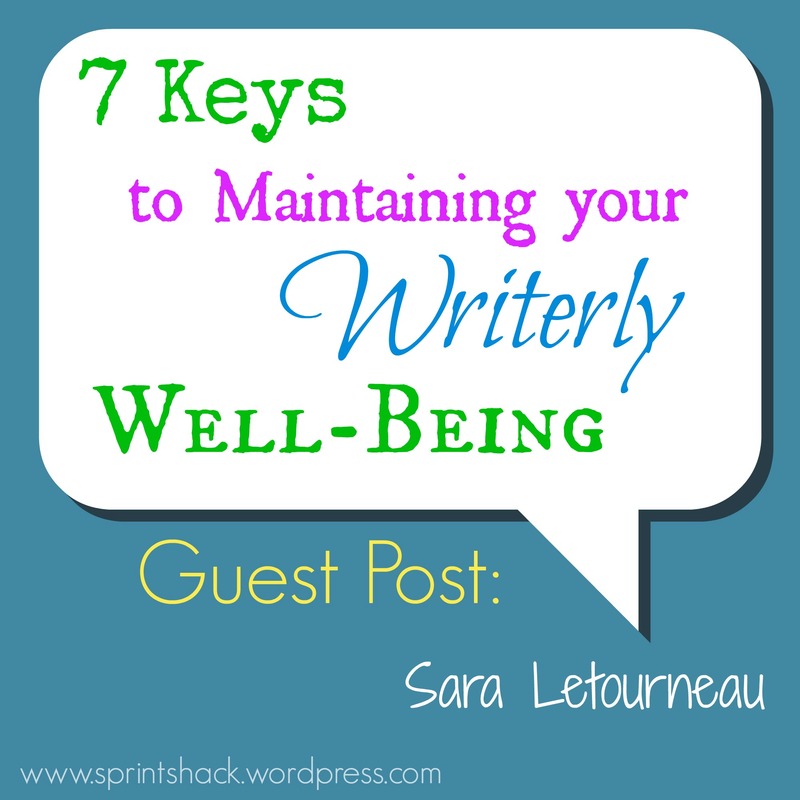 What are some of your tips for maintaining your “writerly well-being”? Is there one particular area you want or are trying to improve on? 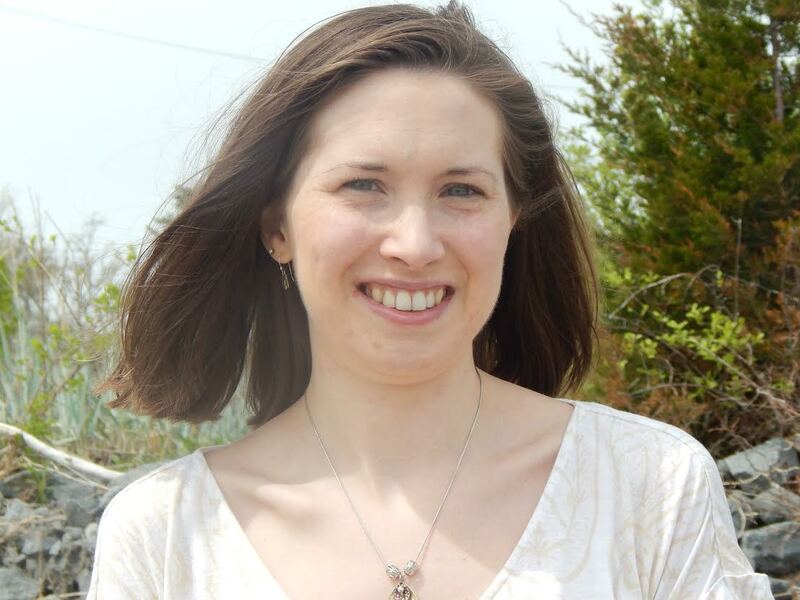 Sara Letourneau is a Massachusetts-based writer who practices joy and versatility in her work. In addition to revising a YA fantasy novel tentatively titled THE KEEPER’S CURSE, she reviews tea at A Bibliophile’s Reverie and contributes to the writing resource site DIY MFA. Her poetry has been published in The Curry Arts Journal, Soul-Lit, The Eunoia Review, Underground Voices, and two anthologies. Learn more about Sara at her website / blog, Twitter, and Goodreads. These are some great tips! I’ve really tried to keep in mind my health more this year. I keep tea and a glass of water next to me while I write and I often eat snacks like those you suggested. I try to stay away from junk food. I’ve also been working on being more active by walking, Kung Fu, and rapier fencing. I’m also putting in a rewards system and it really helps boost my drive! Also, not having a strict deadline for word count or editing count is very helpful to reduce writing stress. I remember you mentioning it before, and I’ve found it to be true for me as well.